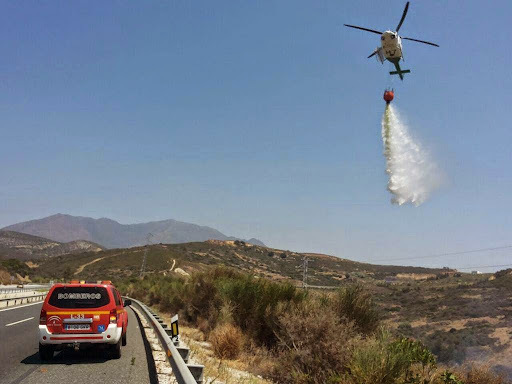 FOREST fire raged today near Casares. The fire was very near the site of Manilva’s Roman baths, inland from Sabinillas. Three helicopters and an aircraft were sent by Infoca in response, and emergency services rushed to the scene. A second fire station was reported to have sent emergency response teams as support. EU member states should carry out a thorough investigation into CIA-run prisons in Europe, where the inmates were subjected to torture, Russian diplomat Konstantin Dolgov said Monday. "Human rights activists are reasonably demanding the government of Poland to finally conduct an effective investigation into secret CIA prisons on its territory. Similar steps should be taken by other EU member states on which territories CIA torture camps operated," the Russian Foreign Ministry’s Special Representative for Human Rights wrote on his Twitter page. Last week, the European Court of Human Rights (ECHR) ruled that Poland violated an international treaty to protect human rights by hosting secret CIA prisons on its territory. The case was filed by two men who charge they were taken to a secret CIA black site in a Polish forest and subjected to torture before being transferred to Guantanamo Bay. An investigation into the detainees' treatment was opened in Poland in 2008 but is still not concluded – a situation that has been condemned by the UN's anti-torture body. Poland is one of a number of European countries accused of hosting secret CIA prisons. Meanwhile, Romania, Bulgaria, and Lithuania also have had allegations made against them for being part of the CIA black site network. The Cyprus Foreign Ministry has confirmed that five Cypriots have been arrested in Morocco on suspicion of attempting to smuggle drugs out of the North African country. The Cypriots – whose ages are still unknown but are said to be over “18 years of age” – were arrested last week as they attempted to leave the country and are said to be looking at criminal charges relating to drug trafficking. Although the exact amount was unconfirmed, sources yesterday suggested that the group attempted to smuggle 15 kilos of hashish out of one of the country’s airports. “We can confirm that five Cypriots have been detained in Morocco and we are liaising with our Embassy in Paris, which is also responsible for Morocco, in an attempt to stay in contact with the individuals,” Ministry official Petros Kestoras told The Cyprus Daily on Tuesday. “We are as yet still unaware as to the exact amount of illegal substances they are said to have reportedly attempted to smuggle. We are also unaware of the exact substances. We do know that criminal procedures are ongoing and that the five individuals are obviously in police custody.” Morocco is one of 32 countries that impose capital punishment for offences involving the illegal importing, exporting, sale, or possession of narcotic drugs and psychotropic substances. But there has only been only one execution since 1983, and it happened in 1993. A total of 198 people were sentenced to death between 1956 and 1993, although there was an 11 year lull in executions between January 1982 and August 1993. The issue over capital punishment is a hot topic in Morocco. Officially, the stance of the current government is for "de facto" abolition but the Ministry of Justice has declared that terrorism is still an obstacle to "de jure" abolition. Figures from the US State Department claim that – until 2010 - a total of 104 inmates were on death row. According to a United Nations report, Morocco is a major source for cannabis, of which several hundreds tons reach mainly European markets every year. Cannabis cultivation is concentrated in the underdeveloped region of the Rif in the North, for which the Government has adopted a national five-year development programme. In addition to the significant illicit trafficking of cannabis resin, the country is affected by growing international trafficking of heroin and cocaine and by related organised crime, including money laundering. 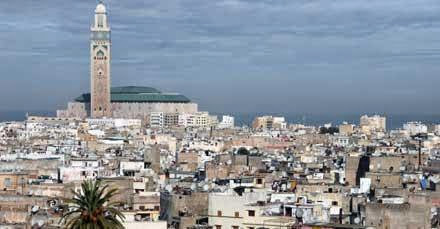 As the main supplier country, “Morocco has long been a popular route by which drugs enter Europe”. 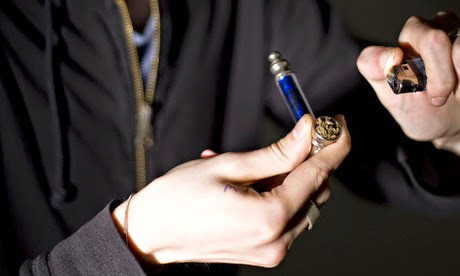 It is a transit point for the ‘hashish’ consumed in Europe, but also of other illegal drugs principally coming from Latin America and East Asia. The coast of Spain is the most common landing point of the drug, and to a less extent France, United Kingdom and other European countries Back in December 2012, Spanish police seized eleven metric tons of hashish smuggled from Morocco on trucks with tanks rigged to hide the drugs. Thirty five people were arrested in what was described as the breakup of a major smuggling ring that fed the European market. A Spanish court will push ahead with prosecuting the Barcelona forward Lionel Messi for alleged tax evasion despite a recommendation from the public prosecutor the charges be dismissed. The prosecutor argued in June that Messi’s father Jorge was responsible for the family’s finances and not the four-times World Player of the Year. However, the court in Barcelona has decided that Lionel Messi could have known about and approved the creation of a web of shell companies that were allegedly used to evade taxes due on income from image rights. 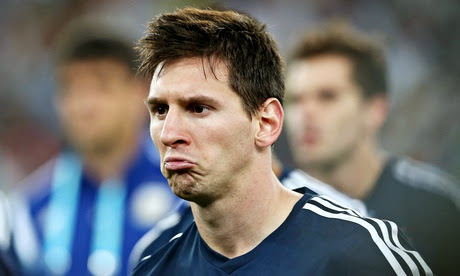 The judge in the case ruled that the case against both Messis should continue. Argentina’s Messi and his father were accused last year of defrauding the Spanish state of more than €4m (£3.1m) by filing false returns for the years 2006 to 2009. They have denied wrongdoing. One of the world’s highest-paid athletes, Messi earns just over $40m (£23.5m) a season in salary and bonuses, according to Forbes magazine, as well as about $23m from sponsors. The magazine has him as the fourth top-earning athlete behind the boxer Floyd Mayweather, Real Madrid footballer Cristiano Ronaldo and basketball player LeBron James. The initially eight drug traffickers were released by the National Court following the reform, carried out by Justice Minister, Alberto Ruiz-Gallardón which considered the Spanish Court is not competent to judge a ship seized in international waters. Following the Supreme Court’s overturning of the reform of Universal Justice Law it could be the drug traffickers involved could now be prosecuted in the Spanish Court, and for that reason the police are keeping watch. The vessel was intercepted last March when 30 nautical miles SE of Málaga. The 63.5 metre long ‘Mayak’ was constructed in 1968 and was flying the Sierra Leona flag. The investigators call this type of ship the mother ship, because they receive and supply drugs to other smaller ships which bring the drugs to the European coast. When customs boarded the ship, she had been loaded up just an hour before and eight crew were caught red-handed introducing the bales of drug into the bodega. 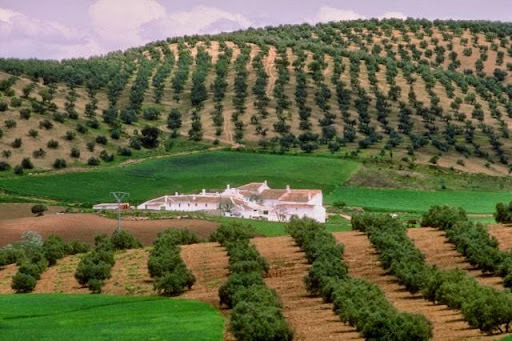 Guadalhorce valley The beautifully scenic Guadalhorce valley in Spain is an area full of stunning natural views. 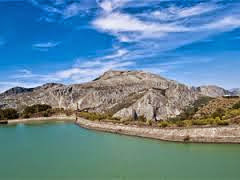 Guadalhorce valley The beautifully scenic Guadalhorce valley in Spain is an area full of stunning natural views. Lying within easy reach of key Spanish cities such as Malaga, and easily accessible from the nearby Costa del Sol airport, Guadalhorce is enjoying a renaissance in popularity, as investors purchase second homes in the area. 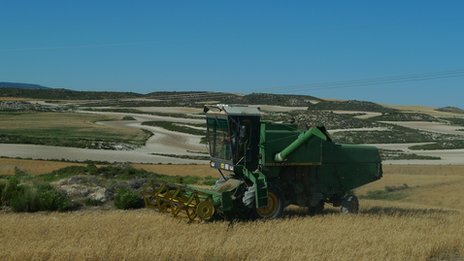 Guadalhorce valley is also located ideally closely to market towns including Coin and Alhaurin el Grande, making it an ideal option for visitors and residents who enjoy the quiet and picturesque valley life, but who sometimes like to sample the more vibrant side of Spain’s culture. 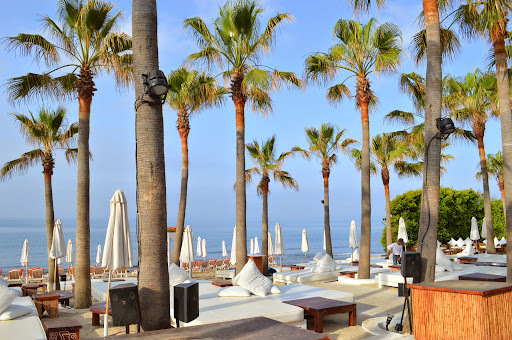 Increasing interest In recent years, Marbella has become Spain’s go-to place for property investment, with the Costa del Sol resort enjoying an unprecedented rise in popularity amongst the rich and famous. 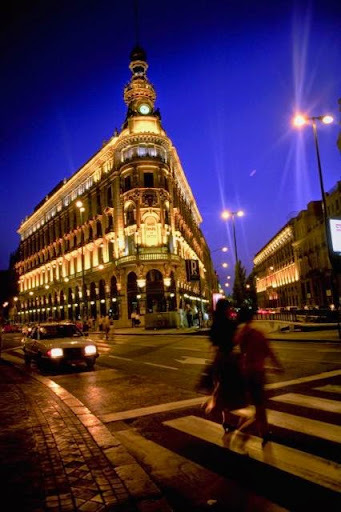 Whilst considerably helping an ailing global property market, this proved to be a difficult period for the more sedate and understated side of the Spanish economy, with Guadalhorce valley amongst the areas suffering. But now, Guadalhorce is enjoying its own rise and recovery, with investors from the UK, Belgium and Holland taking interest in properties that are reasonably priced between £150,000 and £200,000. 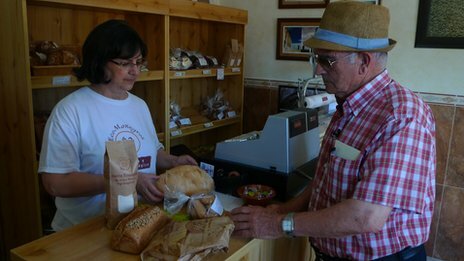 Providing a much more authentic taste of Spanish lifestyle than the more party-orientated resorts such as Marbella, Guadalhorce is becoming ever more popular. Marbella’s illustrious Mayor, Maria Angeles Muñoz graced La Sala Banús with her presence on Saturday 19th July when the resort’s first lady enjoyed lunch on the terrace with Javier Arenas, the well-known Spanish politician, currently National Vice Secretary for territorial affairs for the Partido Popular, and formerly President of the party in Andalucía from 2004-2012. In the middle of a promotional campaign to create awareness among the population of residential tourists in Marbella about the advantages of registering at the Town Hall, the Mayor was campaigning from a large mobile office stationed opposite La Sala Banús at the entrance to the bustling Saturday market. The Town Hall are aiming to increase the number of people officially registered as resident in Marbella from 145,000 to 150,000 over the summer months and are outlining the benefits in terms of increased funding for Marbella from central government which translates to better services for the resort. 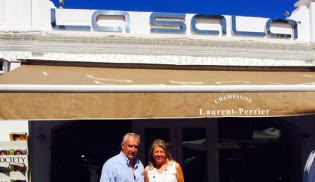 At La Sala Banús, the Mayor, Mr. Arenas and a group of friends sampled an appetising array of La Sala signature dishes including Calamari, Mini Hamburgers, Duck Spring Rolls, Butterfly Shrimps and Pasta Vongole. 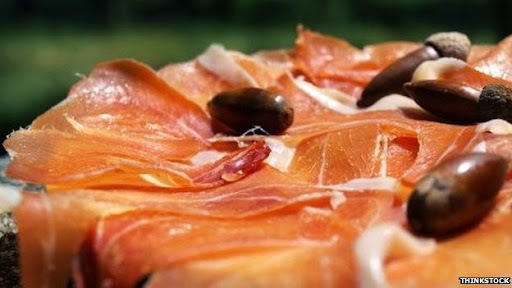 The Mayor’s party enjoyed lunch on the terrace, one of eight available areas for dining at La Sala Banús. Airbus's folding saddle seat could be the cattle-class future for cheap flights As Airbus files a patent for a new space-saving design to jam many more economy class passengers in. If you thought low-cost air travel couldn't get any more bleak, then Airbus has a treat in store for you. 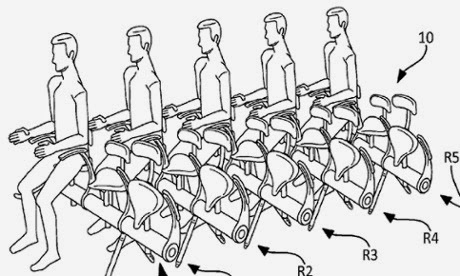 The aeroplane manufacturer has now filed patent for the what looks like a human battery-farm, but is in fact the future of budget flights: racks upon racks of folding saddle-seats for even more passengers to be jammed onto aeroplanes, packed in knee-to-rump. While some airlines have already removed their folding tray tables and squeezed leg-room down to brutal knee-capping levels, Airbus have gone one step further, doing away with the idea of proper seating altogether. In their ultra-economy vision, seating aisles will instead take the form of long horizontal poles, from which bicycle-like saddles and small back and arm rests will pivot out, on to which humans will be placed, skewered together like table-football players. THE Guardia Civil have arrested two representatives of a ‘gas company’ who were thieving in people’s houses when they went to make their inspections. The victims, always elderly, would get a phone call a few days before the inspection; during the phone call the representatives would always inquire as to the age of the people in the house. The victims would be informed that two representatives would visit the house to make sure that everything conformed to standards and was safe. They would charge €356 for this service and, when the victims would go in search of the cash, the reps would follow them to find where they hid their money and then go back later, while their colleague distracted the elderly person, and steal whatever cash they could find. Investigations began when a complaint was made to the Guardia Civil, by an 84-year-old man, who claimed that after a gas inspection he was left €3,000 short - this was money he had been saving in order to buy a hearing aid. Police rapidly identified and arrested the two individuals who made the visits as well as the woman who would make the preliminary phone calls and the appointments. Investigations into the matter are ongoing as the police suspect that there are a lot of victims who have not yet spoken up about the matter. All three are out on bail until their case goes to court. They regularly use the social networks to inform the public about crimes ranging from drug dealing to paedophilia and have an open communication policy on their Twitter account (@policia_benalm). They tend to shy away from using institutional language and communicate in the same manner as the rest of the users of the social networks. #avoid accidents - grab a cab is one of their usual Saturday night reminders to the general public to avoid drink driving. Benalmadena Local Police opened their Twitter account last year in April principally to send out press notes and official information but they soon realised that the system had enormous possibilities and started to send out messages about cyber bullying and domestic violence, as well as the usual warnings not to drive drunk. Because they are a local force they can send messages which directly relate to the residents of the municipality on local matters like which roads are fluid, where there may be any problems around the town or if there may be a wave of pick pocketing going on. Police headquarters in the town commented that the decision to use the social networking site, which is not used by any of the other Local Police forces in the area - not even in the capital, was not an easy one as there are many ‘trolls’ online who can hack into an account and ruin it. They decided to take the risk anyway as they thought it would heighten their profile with the public, which it has done, and help them to improve their image of helping the community rather than just handing out parking tickets. In other Costa del Sol policing news, the Malaga police force are ageing, with no replacements in sight. Currently, the average age of a local police officer in Malaga is 45. Malaga Council is said to be concerned about the ageing force as, due to cutbacks, there has been no ‘new blood’ since the recession started. Although the council is aware of the problem, they have stated that they are not going to do anything about it for the moment as they do not have the budget to remedy the generational handover needed. The number of police officers on the roster in 2003 was 980, but the force now has only 924 officers. Of these 924, 40 per cent are over the age of 45 and another 130 have had to be given light duties due to physical problems. Due to the budget cuts the council has decided to ‘in the short term’ open up another 30 places, the same as they did when a similar problem happened with the fire brigade in 2008. Francisco de la Torre, mayor of Malaga, has commented that even though experience is a good thing in a police officer, there is a need for a younger generation to take over in order to bring the average age down. He underscored the fact that all police officers over the age of 50 are given light duties unless they can pass a stringent, yearly, physical test. THE Costa del Sol hospital has announced that it will be closing three operating rooms in the afternoons in July and four in August. Ana Corredera, spokesperson for the PP health department, commented that the works being done to expand the hospital have also been blocked for more than two years. Corredera went on to underscore the fact that there would be no reduction in the number of beds available during the summer but that, due to the reduced budget this year, the summer reinforcements, brought in to cover the four-fold increase of the population, would be “minimal.” The PP spokesperson added that, in her party’s opinion, the delays in the expansion were due to bad local government by the PSOE.